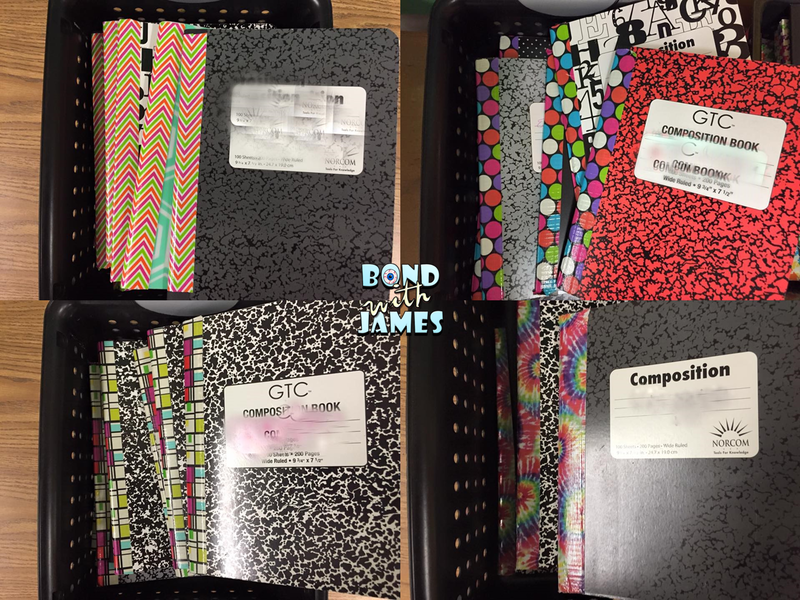 If you missed my early interactive notebook post in July, please click here: Interactive Notebooks - left or right?! I decided to add a video to illustrate this a little better, however, I will still write a few things here that I forgot to talk about in the video and thought I had addressed in the earlier post (scroll past the video). While I talked about left-side/right-side, here are photos from the notebook I showed in the video (from the 2010-2011 school year). 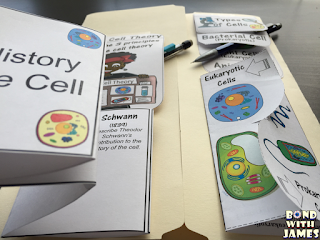 At that point I did not know about left-side/right-side, however, I still created half-sheets or mini-booklets and had students create layers (as I discussed in the video). Besides the unit exams, every assignment was a half-sheet and students incorporated returned assignments into their notebook (bottom right photo). I also cut plain white paper in half and have these in my room so students could add sheets if needed (top left photo). Here is an example of the half-sheet Word document I spoke of in the video (and from the pictures shown above). I am able to print 1 page per 2 students. I will usually use the paper cutter in the workroom to prep these while I am waiting on the copy machine to finish. I paper cut several copies at a time. One thing that I forgot to mention was the inclusion of hall/restroom passes in the interactive notebook. 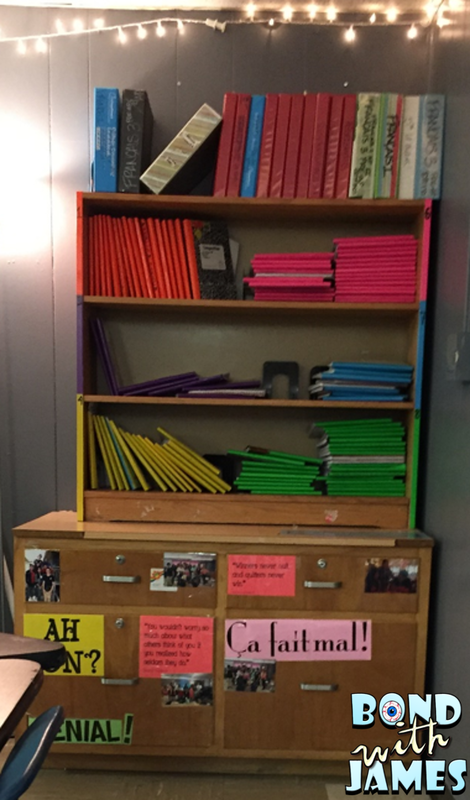 As stated in the video, I color code the notebooks by class period. The index card, ribbon or rubber band, and restroom passes are the same color (yes - even the Popsicle sticks that I use to randomly select students to answer questions are the same color). 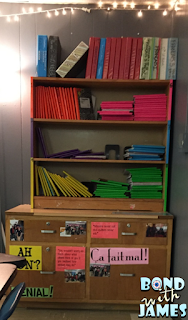 I color code based off an issue I had my first year with students taking notebooks from other periods. I have not had the problem since switching to a color coding format. I also failed to mention another strategy that I've seen to color code each period is the use of duck tape. A teacher at my school does this with her classes. You can also be creative and fun with the duck tape you select (see photos). FYI - the pictures at Office Max/Depot were taken in July and the deals may not be current. I wrote another INB blog post back in 2013 for potential left-side ideas based on a PD session that I used with my now current campus and colleagues (For the Interactive Notebook: Strategies to Engage Students in Writing). The post also references a Choice Menu that I found offered by Jennifer Szymanski on Teachers Pay Teachers (it's still currently free as of this post). Okay, I don't think I left anything out. If I did, I'll make sure to send an update through my Facebook page. There still may be great deals on notebooks in case your students have to buy them (my school requires a comp book for all classes). As mentioned earlier, these pictures were taken at the end of July and the deals on the composition books may not be in place now. 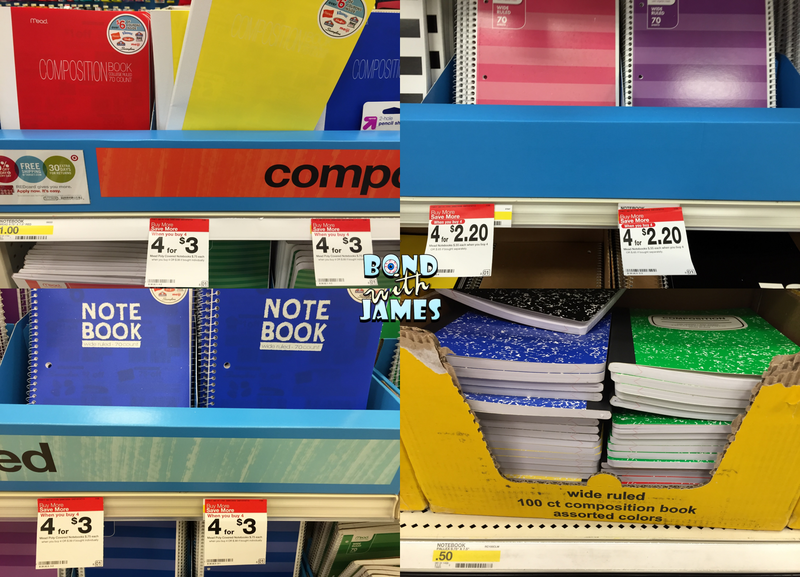 Many of these stores will sometimes begin selling the notebooks cheap or in bundles after school starts for most districts (e.g. 5 spiral notebooks for $4). As promised, I am going to continue with my accuracy and precision lesson. If you missed my last post, you can read about it here. I usually will introduce the concept of uncertainty in measurements and significant figures with another small activity / discussion. In the past I created two rulers on large chart paper (similar to the Significant Figures Task Cards illustration shown below). Disregard the questions in the graphic. I only use or draw pictures of the rulers. I would not ask anything about sig. figs. at this point since I have not introduced that concept yet. One ruler at a time, I would allow time for groups to discuss the precision of the instrument and come up with a measurement to share out with the class. I would write on the board the measurement provided by each group. Then I would do the same of the second ruler. I would engage the class in a friendly debate about whether they believed their measurement was right. This is where students would verbally explain to me that the first number in the measurement had to be a one (1) because the object falls in between the one and the two. I would then ask the groups how they came up with the second number as I noticed some variability between their measurements. Inevitability I would have one to a few students tell me that they guessed the second number. At this point I would nod my head or say that was an interesting tactic before moving on to the next ruler. Again, I would give groups time to discuss and provide me with their measurements as before. Students would confidently explain that the first number in the measurement (above) was a one because the object fell between a 1 and a 2. Then the second number had to be 1.4 because the measurement fell in between 1.4 in. and 1.5 in. Finally, I would hear students debating about the final number. This is where I would talk about significant figures, the known digits plus the one estimated digit, in a reported measurement. At this point, I would move to a lab activity that involved several stations containing different instruments. 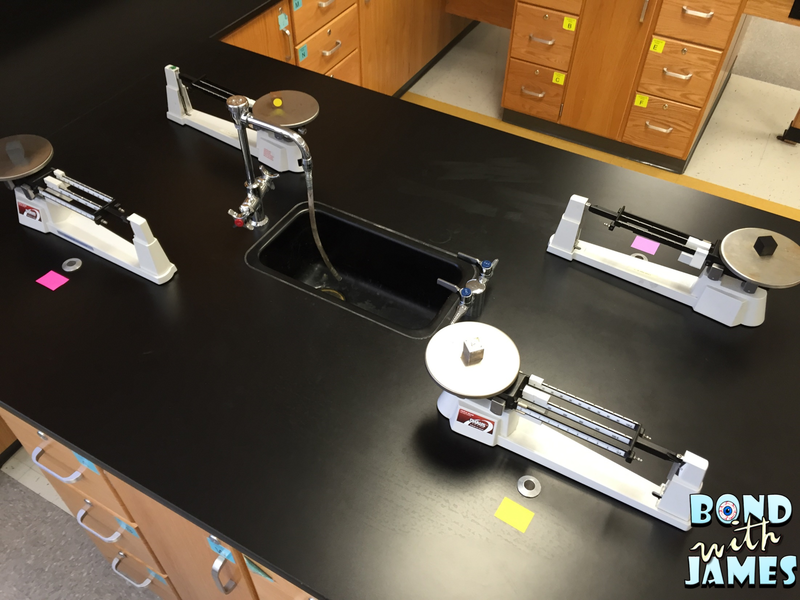 Each station had 4 pieces of the same equipment, however, each piece was set at a different measurement. 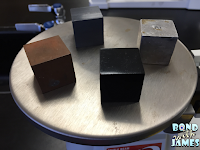 I originally used food coloring to make it easier to see, however, it became a method to assign each student, in a group of 4, a particular color. For example: Student 1 = yellow, Student 2 = red, Student 3 = blue, and Student 4 = green. 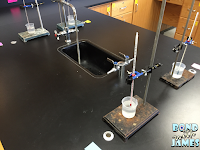 Students would only measure the apparatus that contained their food coloring dye. 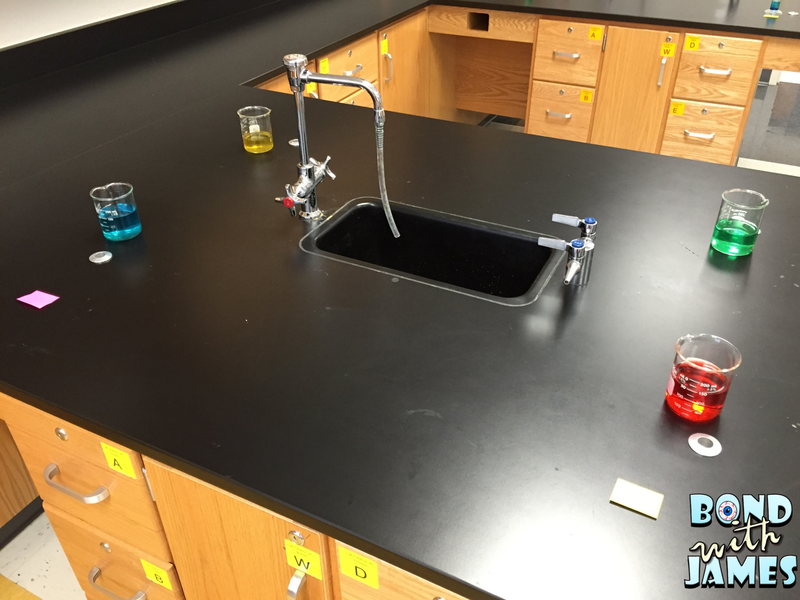 Students would then rotate from station to station measuring the instrument based on their assigned food coloring / Post-It note color. Once all the students were finished, I had them find three or four other students that had the same color assignment as they had in order to gather and compare their measurements. There were times where groups were larger than 4 but I only recommend that if you know your students can work quietly in large groups (this varied from year to year and from class to class). I represented the true value for the lab activity. At the end of the activity were some reflection questions for the students to answer. This activity allowed for students to learn to collect data and make measurements with accuracy and precision; as well as begin to learn how to express quantities using appropriate significant figures [Texas standards]. Another reason why I do this activity is because I want all students to have the opportunity to practice using and reading the lab equipment. Therefore, I would also pull this equipment out a few days later and have the students complete a lab practical. It makes it more difficult for them to cheat, especially if I utilize more than four pieces of the same equipment type (e.g. 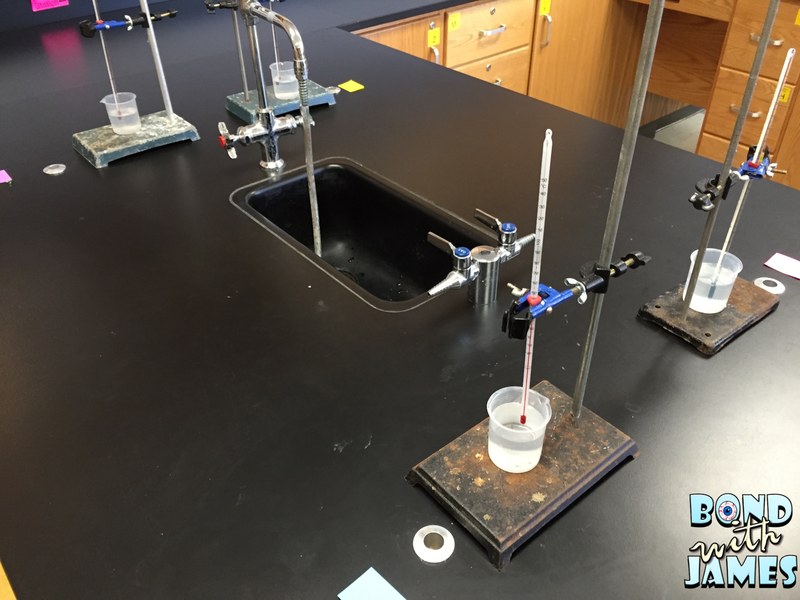 6-8 graduated cylinders or triple beam balances, etc.). I will admit that the first time I did this it was a lot of prep (mainly because I was just grabbing equipment and didn't have a clear vision for setting it up). It now only takes me roughly 30 minutes to set up, with the burettes and ring stands taking the most time. Clean up is relatively simple as well. Sometimes I would leave all the equipment out and write my measurement on the bottom of each Post-It note (for each instrument). If students finished early or wanted extra practice prior to the practical, they could go to the lab and practice by checking their measurements against mine (they would lift the Post-It note up to reveal the answers). Students did not receive a grade for this; however, most students would practice because they wanted to do well on the practical. Okay...that was a lot and I'm hoping I didn't leave anything out. I think this is a great lab activity to do at the beginning of the year because you can easily identify students that come with/without measuring skills. Some may be proficient at using all the equipment, some may be proficient using a few, and others may need help using all the pieces. I also think this is something you can continually pull out as a warm-up. Yes, I would sometimes use this as a warm-up to at least have students practice until I felt that 90-100% of my students could measure with accuracy and precision - reading to the correct number of significant figures. As always, I would love to hear if you have any strategies pertaining to these topics that work in your class. 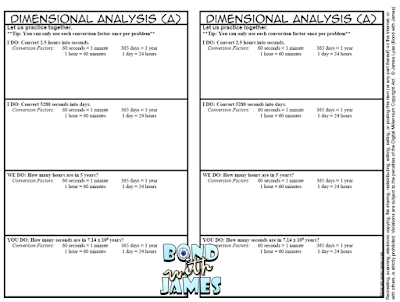 FYI - the sheet is available FREE as a half-sheet (1 page for 2 students) here. 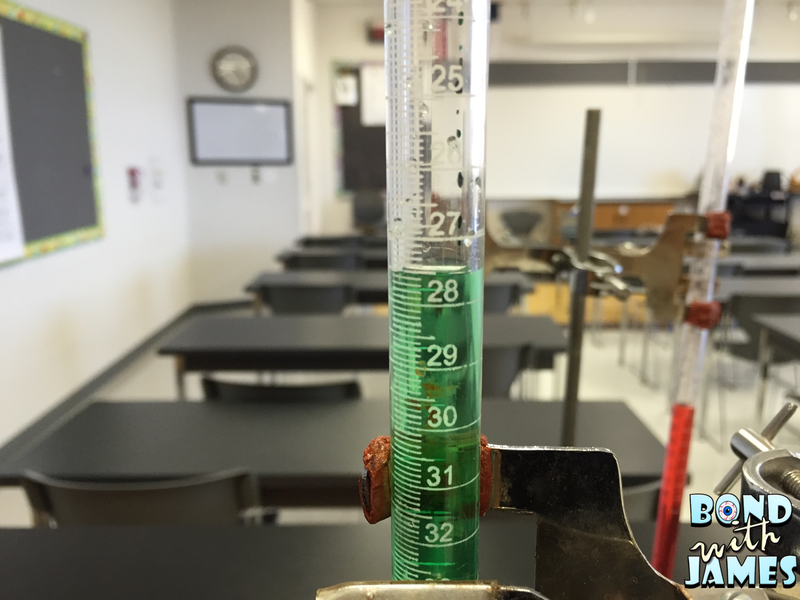 The concept of measurement in science, especially in chemistry or physics, is an important skill students need to acquire early on in the school year. I am going to share a simple engagement strategy in regard to accuracy and precision that I have used in the past with my students. 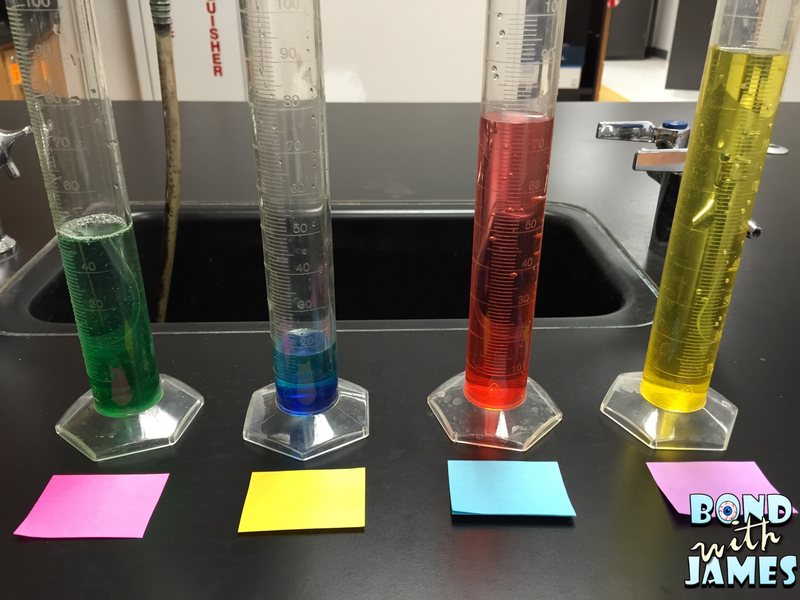 This is also a great activity to implement the first week of school if students are not able to conduct labs without a signed safety contract. My former mentor and instructional coach used to let me borrow a set of non-traditional rulers - which I nicknamed bumble bee rulers because they had an alternating yellow and black box pattern on both sides of the ruler (I will refer to them as wacky rulers from here on). Unfortunately, my coach could not remember where she got the rulers from and retired from the profession; however, I created my own version of the ruler and call them wacky rulers. I would give each student a ruler and a picture as soon as they entered the class. My directions were simple - measure the object and write your answer on a Post-It note. Some students would look at me weird and some would ask me what units they were supposed to use. Others would try to figure out which end of the ruler to use. I created this version just to mess with the students but it does come in handy when comparing different measuring instruments and talking about accuracy and precision. Next, I would have the students measure the object again with a metric ruler and create another poster with the metric ruler measurements. At this point, I would have two class sets of measurements - one from the wacky ruler and another from the metric ruler. I would give students an opportunity to discuss in pairs, or a group of 4, which ruler they believed was the best instrument for measuring. I would also give students time to discuss their thoughts about the varying measurements with the wacky ruler; as well as how the measurements differed between the two rulers. This is also a great opportunity to explain that a measurement consists of a number and a unit. Additionally, it also is a great time to introduce and discuss accuracy and precision by utilizing the class measurements. 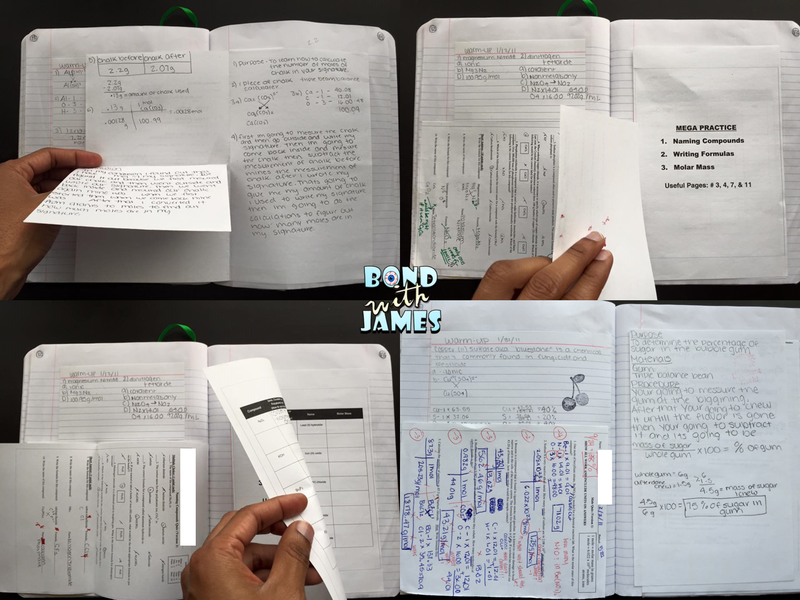 You could have students copy the actual measurements in their interactive notebooks and write a brief reflection summarizing the activity. I really like using the wacky ruler data when speaking about the precision of our measurements since, from my experience, the data usually is all over the place. ;) For the sake of explaining accuracy, I will tell students that my measurement is the true/accepted value. My students usually understand the difference between accuracy and precision from this point forward. I should note that this is usually a 10-15 minute activity / discussion at the start of class (warm-up and engagement). I also incorporate significant figures, however, I will be writing another post on that later as I incorporate an accuracy, precision, and sig fig lab activity in the same lesson (and sometimes use it as a lab practical). You may have also seen my collaborative posters floating around Pinterest or other sites. That is another collaborative activity I integrate into this particular measurement unit. 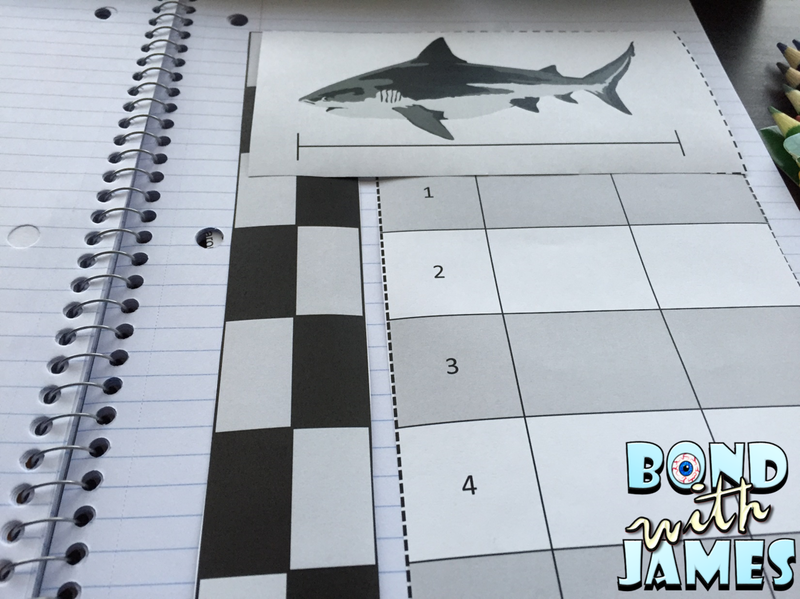 If you want a copy of the wacky rulers, you may download it for FREE here. I have included the image of the shark seen in this post and a slightly editable 10 slide PowerPoint file. I have teamed up with a few of my secondary science colleagues to participate in a Super Secondary Science Giveaway. 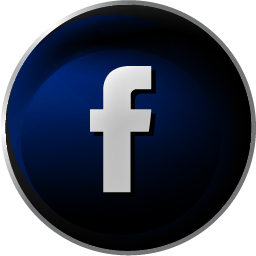 Technically anyone may participate, however, the resources found on our pages are geared for secondary science. 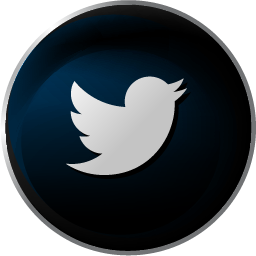 You may participate by following the directions on the Rafflecopter (scroll down). 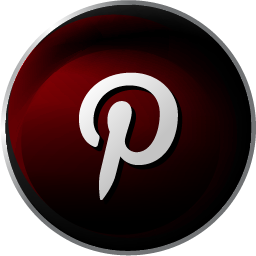 Once you're down with that, then scroll down some more to visit the participating secondary blog pages. It's that simple! Each of us have different prizes. There are two versions of this product - one for high school and one for middle school, however, you may only choose one version. 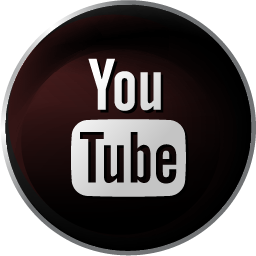 Check out the video for a small preview [FYI: there is music]. This product covers the following topics: atomic structure, ionic bonding, covalent bonding, matter, the periodic table, significant figures, and scientific notation. This bundle comes with 8 activities: task cards, tarsia puzzles, mix-n'-match, I have...Who has..., literacy activities, vocabulary jigsaw, and graphic organizers for the interactive notebook/lapbook. Once you're done with the rafflecopter - don't leave! 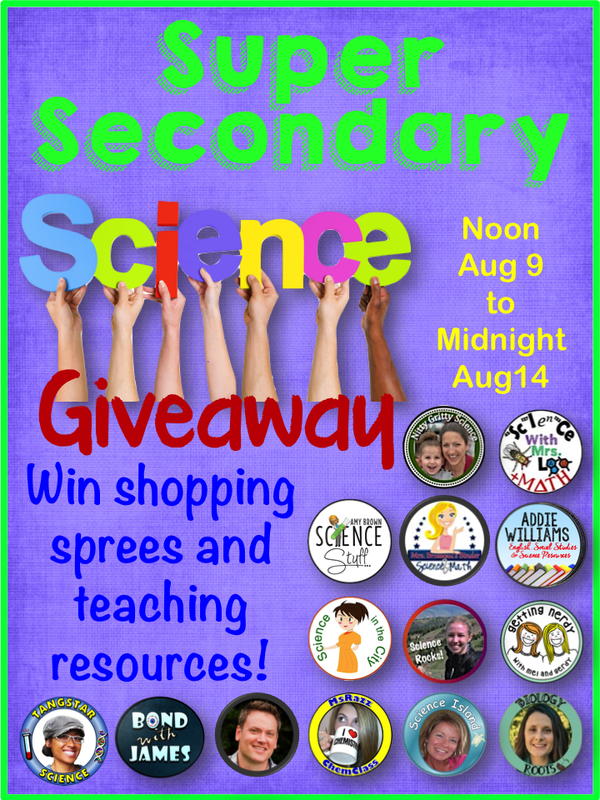 Make sure to scroll to down to visit the other secondary science seller pages to participate in more giveaways! Have fun and best of luck! Collection closes in 6d 23h 31m.